This essay is adapted and reprinted with permission from EarthPledge Publishing. The Alabama tomato is truly a wonder. It takes on the color of the deep red soil, and the taste borders on sweet and tart. I grew up eating these tomatoes straight out of my grandparent’s garden in Florence, Alabama, and after having lived in Europe for more than 20 years, I still think Alabama tomatoes are the best in the world. So when I moved back to my hometown in Florence, to a place called Lovelace Crossroads, I was eager to have a garden and grow my own. I quickly realized I could not remember the details of how to plant a tomato, so I consulted Mr. Jay Arnet, an 87-year-old family friend who has the most beautiful kitchen garden. He taught me how to lovingly remove the bottom branches from the seedlings, dig a hole that seemed too big, fill it with compost and water the plants. They produced the tomatoes that filled our stomachs all summer and became the basis for our soups in the winter. Thanks to Mr. Arnet, the plants thrived and our cupboard was filled with cans of stewed tomatoes. I was a little shocked that I had lost this very basic knowledge of how to grow my own food. On its most immediate level, growing food literally connects you to roots and earth, but it also connects you with the skills and traditions that farmer families have used forever as they tilled the land to produce fruit, vegetables and–in this area–cotton. Planting a garden after coming back to Alabama was more than just a way to celebrate my homecoming; it was also a way to immerse myself in the “domestic arts,” which I prefer to call “living arts.” I realized that here in my community, activities such as sewing, gardening, cooking and quilting have never just been tasks. They’re artful endeavors that allow for independence, a way to take direct responsibility for quality of life, and simultaneously they create a bond between individuals and community, between past and present. In our community, one of the many ways women bonded was at quilting bees. These gatherings tapped into the region’s long, rich history of textile work and celebrated skills that were passed from generation to generation. Unfortunately the value of these skills has diminished and often they are no longer passed on. That’s one reason why I returned home to Alabama–to create a collection of clothing that preserved and reinvigorated those unique hand-sewing traditions, which I learned at the feet of grandmothers, mother, and aunts. I also wanted to use recycled materials and employ age-old production techniques. I never imagined that this idea would receive so much attention from the fashion and business worlds, especially during a time when U.S. textile production was moving in the opposite direction. Instead of going overseas, I worked with about 200 skilled artisans who became revered by fashion insiders for their elaborately embellished, hand-sewn garments that are sold in more than 60 stores around the world. 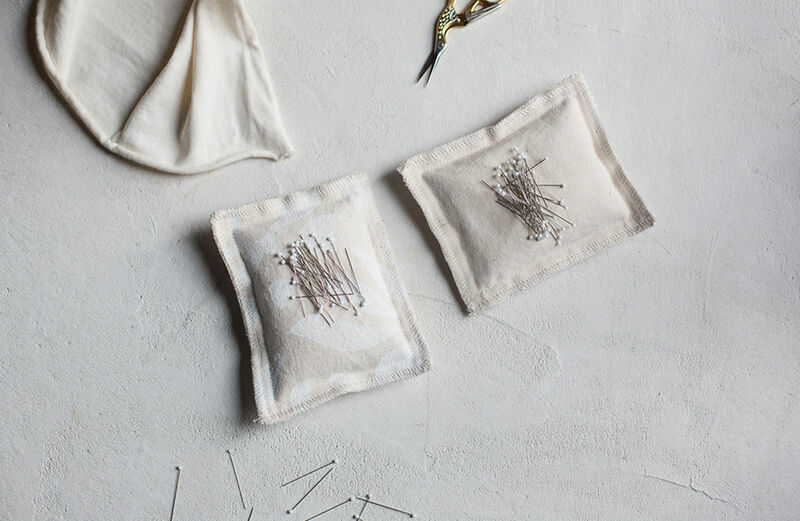 Alabama Chanin is still inspired by local sewing traditions. I was recently reminded of how precious these techniques are when I stumbled upon a piece of handwork made by my grandmother. It was a pillowcase with intricate needlework sewn onto a flour sack. I could just make out the company’s imprint as a shadow on the fabric, and as I examined this lovely piece of work, I thought: It’s incredible. She spent hours and hours–probably over the course of months–making something from a piece of fabric that today would be thrown into the garbage. The men and women who raised me were artisans who used readily available materials to create objects, both decorative and functional, which enriched our lives. These items were never considered anything extraordinary, and the people who made them were humble about their work. Unfortunately, there are fewer and fewer people who can make such heirlooms. Most of those who stitch for us grew up learning to sew from family members, so it was no surprise when at one point we had three generations of the same family working together. By encouraging these handwork traditions, Alabama Chanin is also hoping to sustain the identity of this stretch of land at the foot of the Appalachian Mountains. While most people talk about sustainability in reference to chemicals or materials and their effect on the environment, I also think sustainability depends on nurturing the skills necessary to manipulate local materials into well-designed objects. I believe it’s essential that we respect the sanctity of our traditions and the skilled workers who keep them alive. Whether planting a tomato or embroidering a napkin, staying connected to their traditions allows us to also cherish them. Handwork requires respect for everyday materials and helps us imagine their potential. It also forces us to use our resources wisely. The people in my community learned to use what they had on hand and make the most of it, especially during The Great Depression. One of my favorite examples of this ethic is the way women used to find the red thread that they used for quilting. At the time, red thread was costly and hard to come by. After the men had smoked or chewed the contents of their Red Man Tobacco pouches, women would take the coarse cotton tobacco bags, unravel the red thread and use it in their sewing projects. This attitude that all things have potential continues to inspire me. It’s an ethic that I try to remember every day as I build my company and design my collections. Like my original tomato garden, my company has grown. In addition to garments, we now make home furnishings and jewelry. I’m still able to pursue the original vision of working with outstanding artisans and recycled materials to make beautiful products, but we’re also trying to do more than just sell things. A big part of our mission is to make sure these wonderful skills get passed on. We try to spend as much time focusing on workshops and lectures as we do on producing products and garments. These are just a few small ways that I’m hoping to teach more people about the living arts. When we think about how to make a bowl, a dress, or a chair, the process is often shrouded in mystery. Instead we buy one at the store. But that simple purchase has much bigger ramifications. It creates more distance between us and the power we have to create for ourselves. It’s my hope that these craft traditions, like planting those tomato plants, will allow us to reap the fruit of our labor and talent while helping us participate more deeply in the rhythms of our everyday lives. Ultimately, I hope the living arts will also re-establish our communities as sustainable, dynamic and inspiring places to live. Natalie Chanin is a designer, author, educator, and entrepreneur founding the company Alabama Chanin. Alabama Chanin creates 100 percent hand sewn-garments using organic cotton grown and milled in the United States. Chanin holds a degree of Environmental Design from North Carolina State University (1987) and has been a finalist for the Cooper Hewitt National Design Award for Fashion in 2005 as well as a finalist for the CFDA/Vogue Fashion Fund in 2009. Offering a selection from her work, “What does Planting Tomatoes Have to Do with Fashion” Chanin discusses products with good design that can be part of everyday living. Chanin’s passion for slow fashion design that does not create excess waste or destroy natural resources provides a unique viewpoint to the topic (n)everlasting.